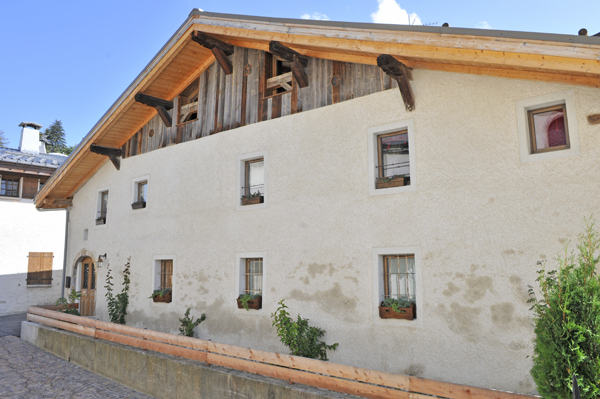 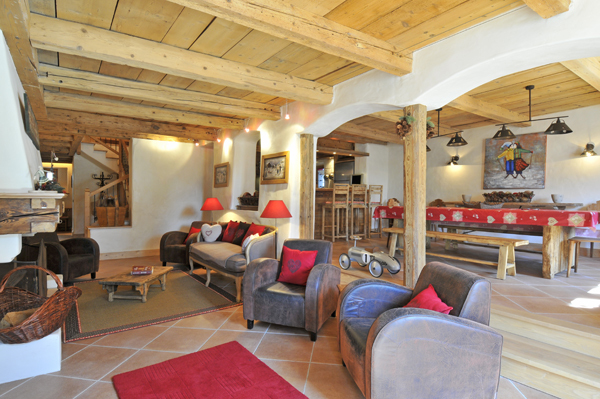 This is a beautifully restored old farmhouse rental that is centrally situated just 100 metres from the center of Megeve. 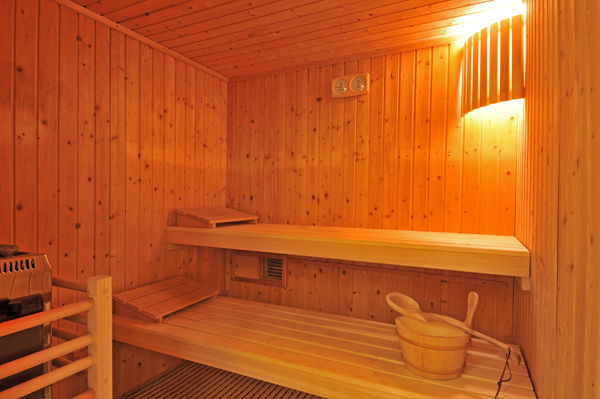 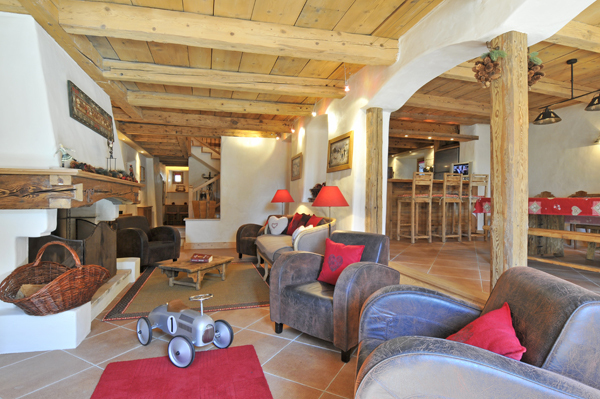 It sits on a back street that provides a good deal of privacy and quietness. 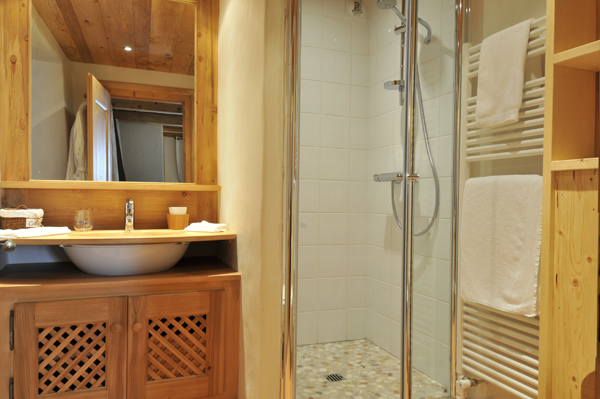 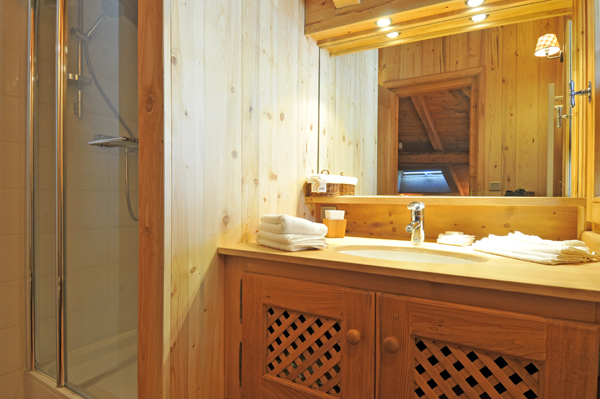 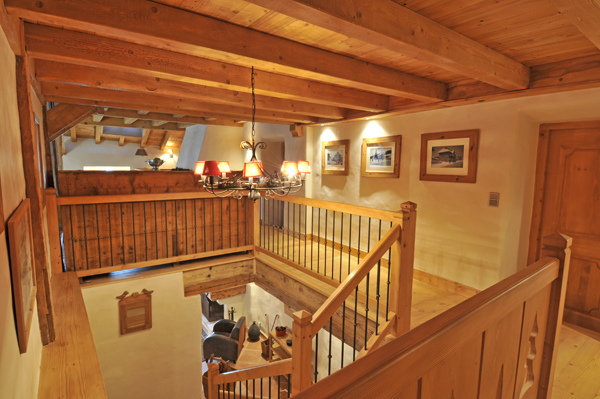 The Chamois ski lift is 50 meters from the luxury chalet and allows the possibility to ski to your front door. 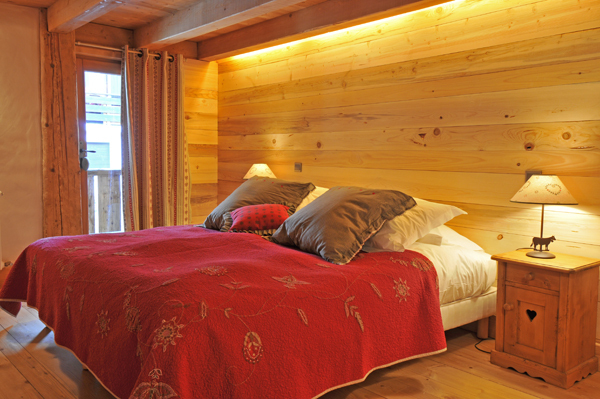 While the car park for the luxury chalet is in the central parking, a few hundred meters away, it is possible for cars to drive up to the chalet to drop people off. 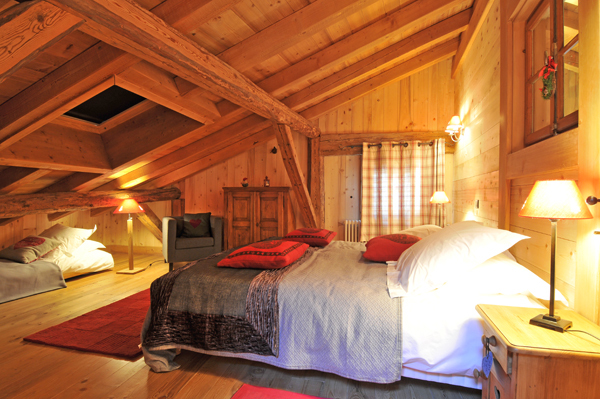 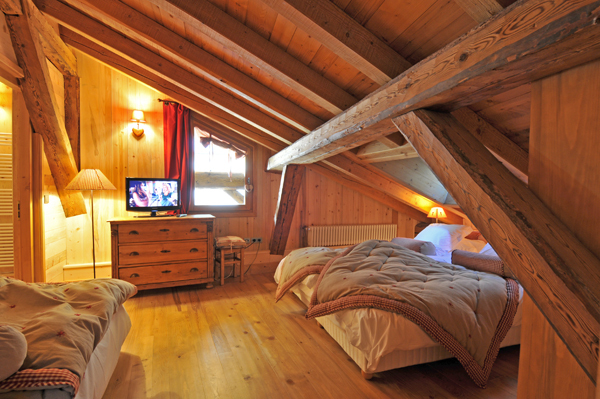 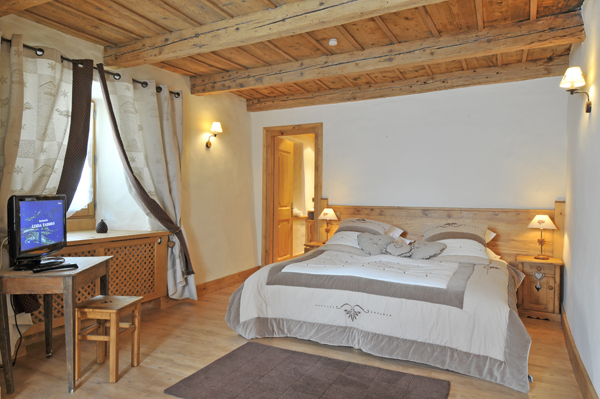 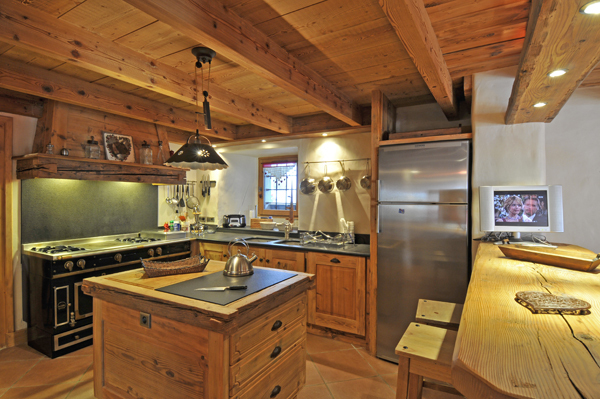 This luxury chalet restoration rental has been done with great care: the original walls and beams have been retained while touches of contemporary design have been incorporated into the interior. 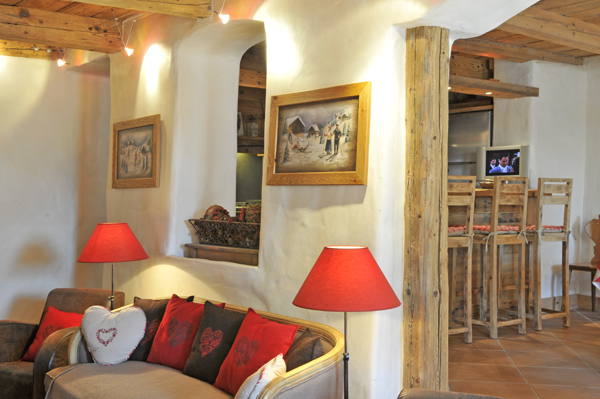 The decoration is primarily in neutral tones of browns and beiges with splashes of red, giving a harmonious and warm ambiance. 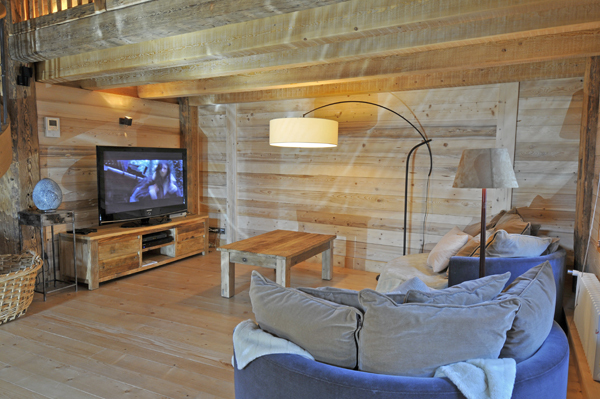 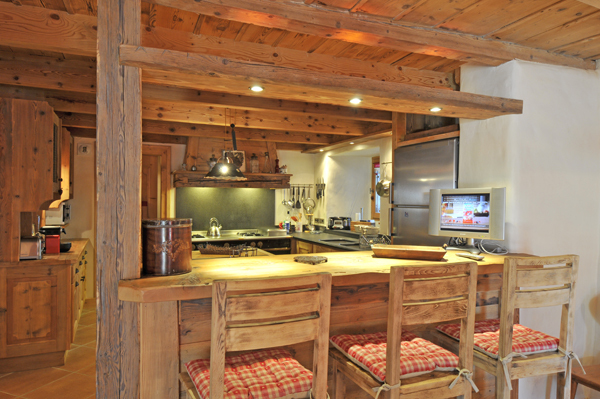 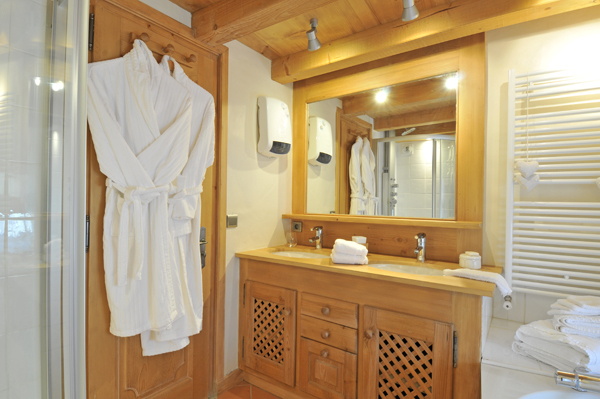 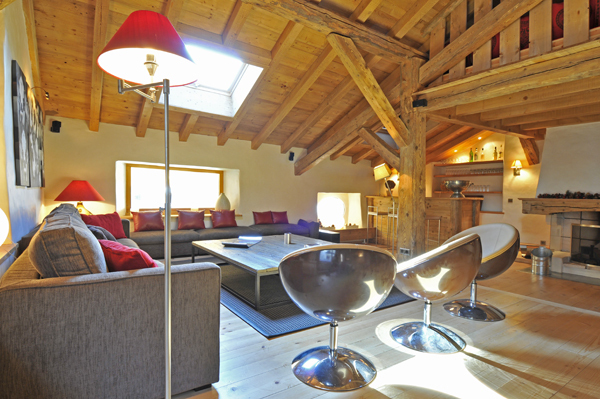 As you enter the chalet, you are welcomed into a large open-plan kitchen, dining and living area. 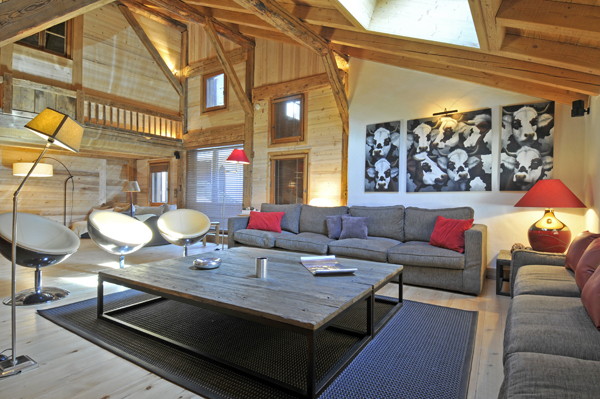 It is upstairs that the main centre of activity takes place, around a voluminous living area with high ceilings and lots of light. 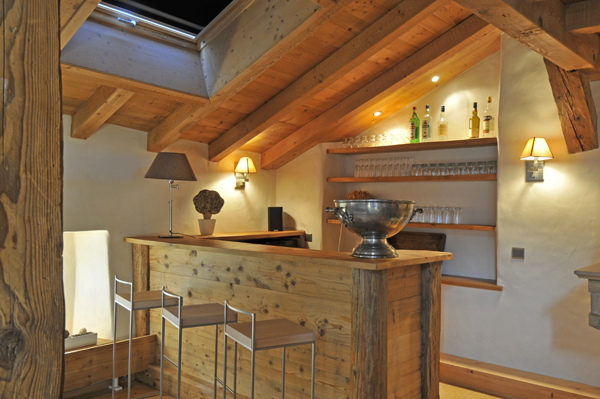 There is a bar and TV area under the original wooden rafters of the former farmhouse and an especially nice space for children. 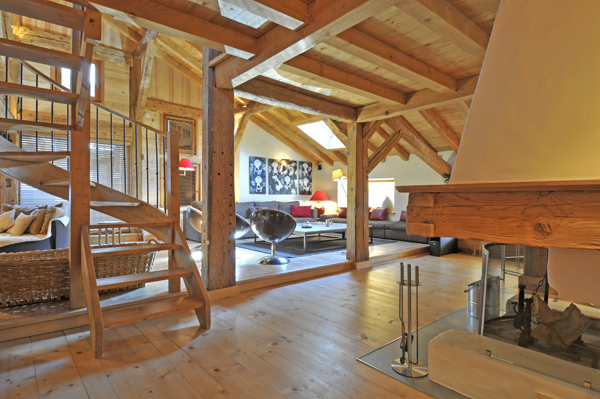 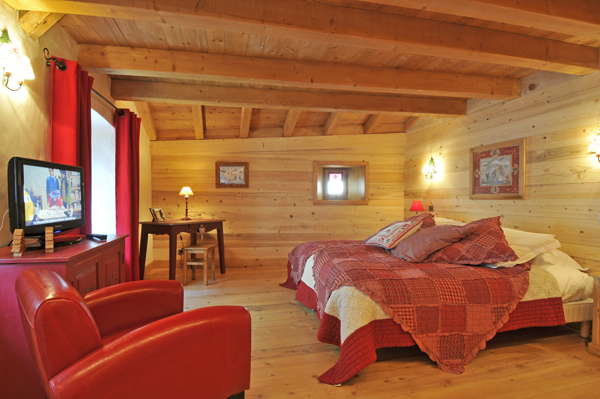 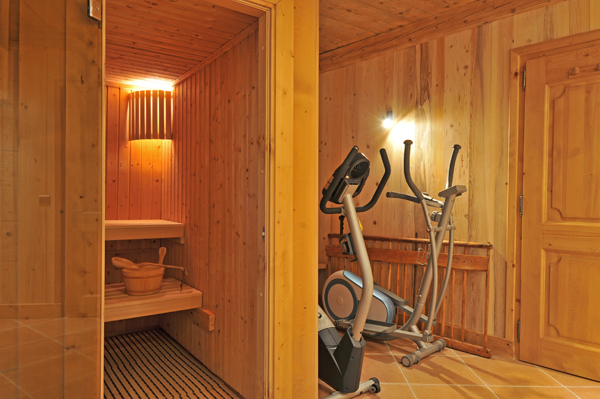 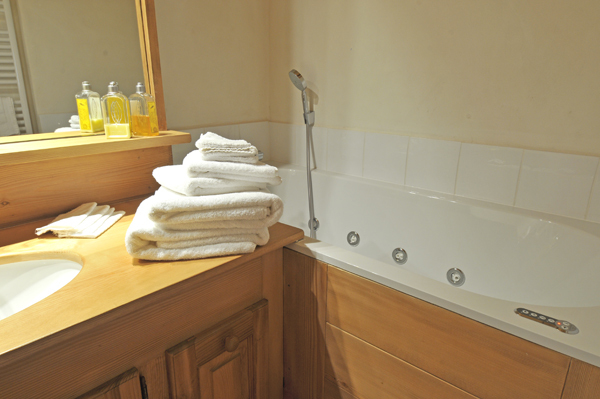 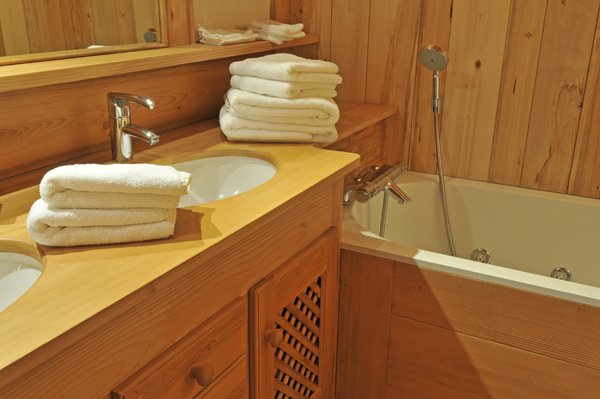 We recommend this chalet for older children, as there are no stair guards. 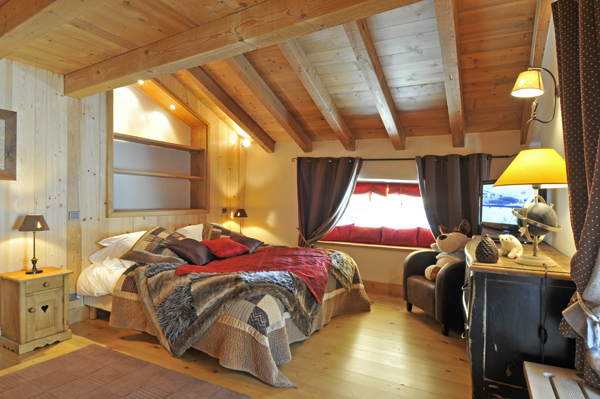 This luxury chalet is built over three floors, with the bedrooms spread throughout the floor so guests will not feel on top of one another.